Tracy Reese, Arcata Dress, buy here. Free People, Kensington Sunglasses, similar here. 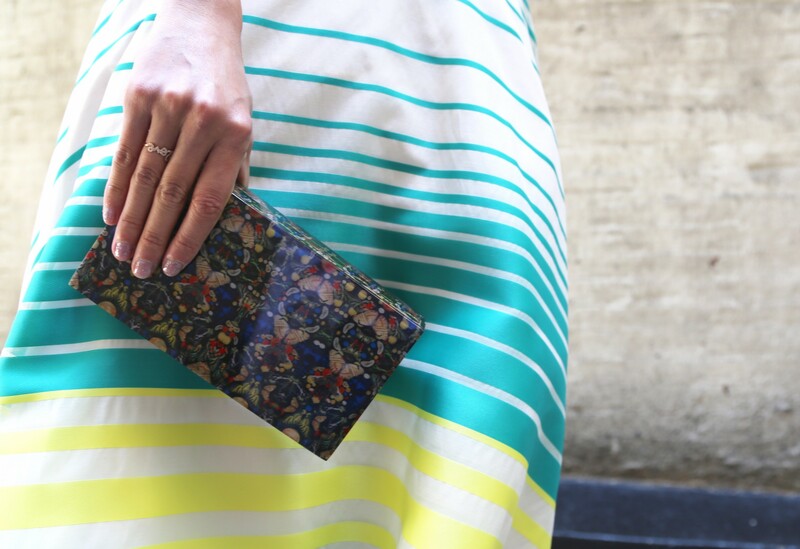 Alice+Olivia, Butterfly Lucite Clutch, similar here. Sophia Webster, Platforms, similar here. Jacob And Co, Diamond Bezel-Set Necklace in Rose Gold, similar here. Cartier, LOVE Bracelet in Gold, buy here. XIV Karats, Love Ring, similar here. XIV Karats, Two Finger Name Ring, similar here. Thank you so much! that means so much! xoxoxo!! !